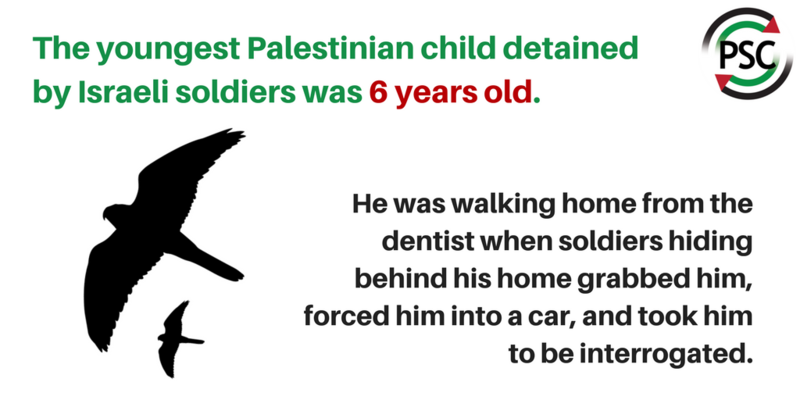 Join us in campaigning to protect child prisoners on the 17th April, marking the International Day of Solidarity with Palestinian Prisoners. 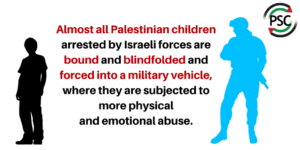 We need you to help raise awareness of the mistreatment of Palestinian children by sharing our ready made infographics on your social media throughout tomorrow. 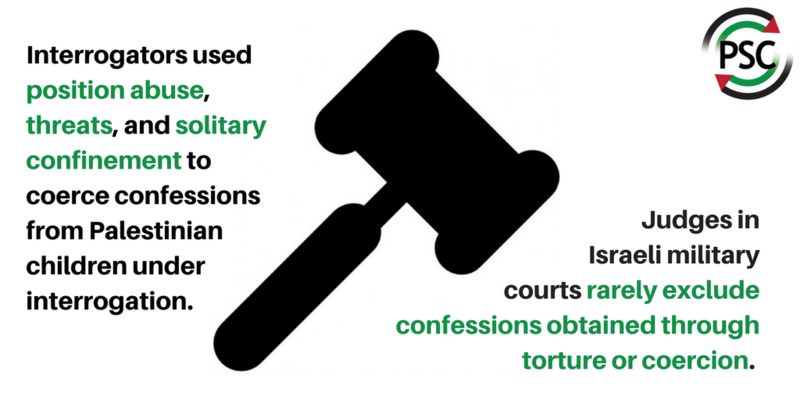 Please post 2 or 3 of the images at the end of this email, also to be found on our website, with the hashtag #freechildprisoners . 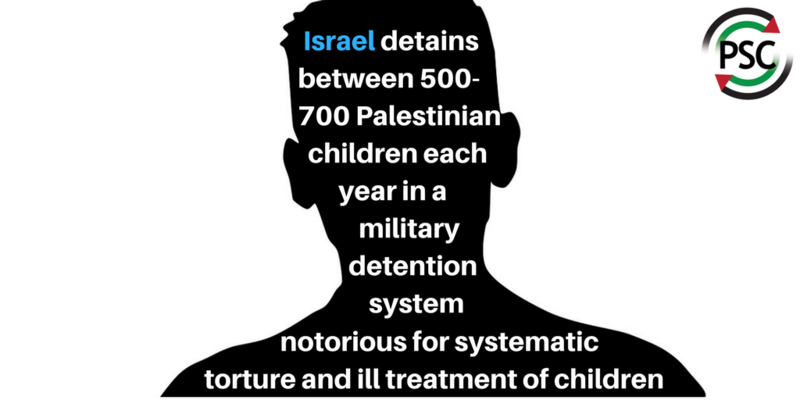 Please also take the opportunity to write to Congress to ensure that pressure remains for action in holding Israel accountable for violating the UN Convention on the Rights of the Child (UNCRC). 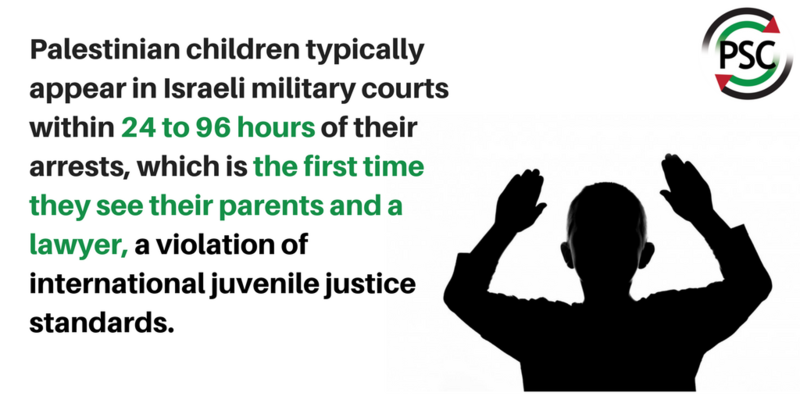 Children shouldn’t have to fight against the injustices of occupation, which is why they need our support. Please lend your voice on twitter and facebook, and also write to Congress. The statistics are truly shocking. 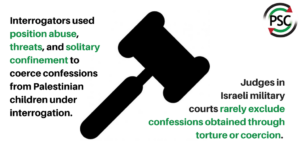 Over 78% of detained children are strip searched each year, 74.5% report physical violence committed against them, and 97% are interrogated without a parent or lawyer present. 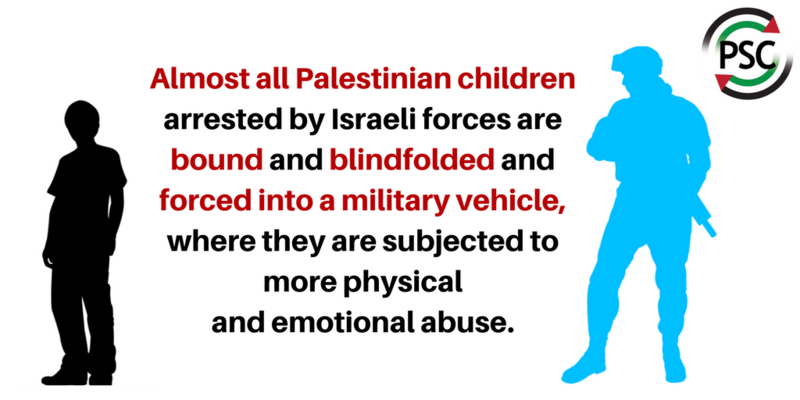 A 2013 UNICEF report called Israeli ill-treatment of children “widespread, systematic, and institutionalised”. 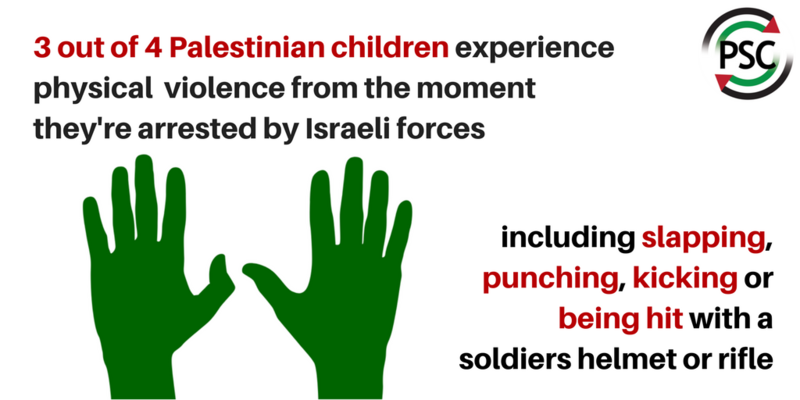 Every year 500 – 700 children are subjected to this traumatic experience. Change will only come from sustained international pressure. 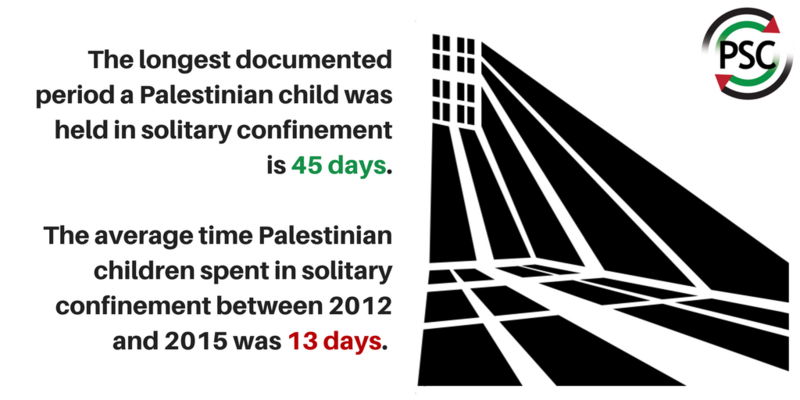 We at PSC are making sure that the cry for justice for Palestinian children is so loud that it can’t be ignored any longer. Thank you for supporting this cause. This entry was posted in MRSCP and tagged Human Rights, Images, Violence by admin. Bookmark the permalink.